The next few day is a Khmer New Year. I would like to say Happy Khmer New Year and Congratulation to Siem Reap pick as a number 1 Asia Destination and number 2 for world destination which is listed by TripAdvisor for Ministry of Tourism Cambodia . I would like to share some great places and things to do in Cambodia. Let me countdown the top place and activity I wish to do , I have a memory, and want to visit in Cambodia. 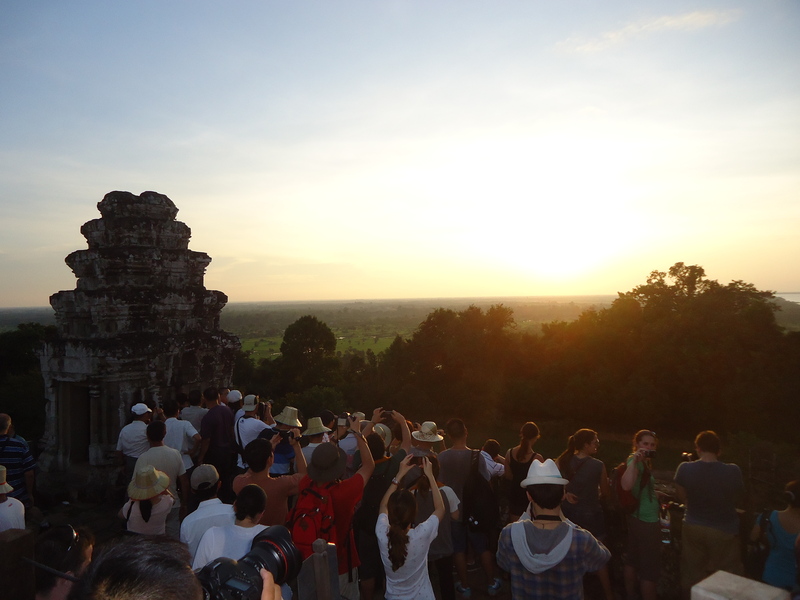 The best place to catch view of sun go down in Siem Reap. this is the first time for me to caught this view among a lot of people to catch view of sun set. Never miss and should check out Bakheng Mountain only in Siem Reap. 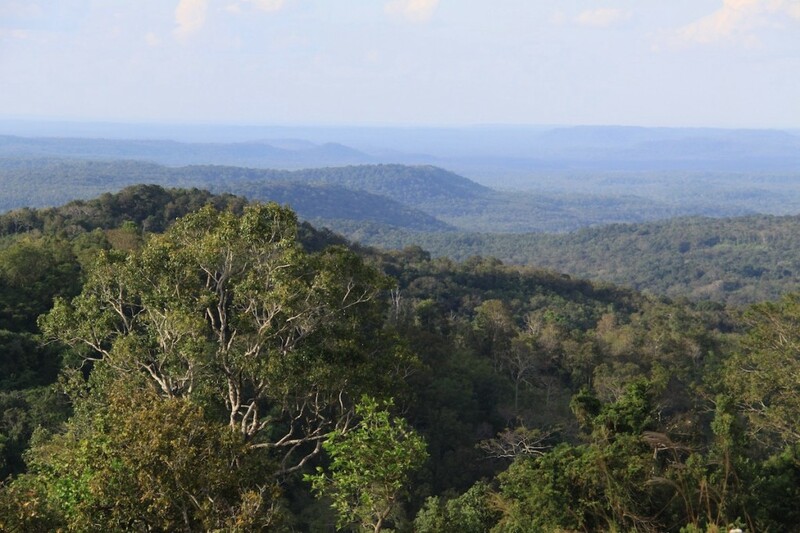 Areng, one of the big forest in Cambodia. It is called the second amazon forest. It full of nature and wild life. It is on my list to visit in this year to visit. I really in love with beauty of mother nature. Walk on the Long Bamboo Bridge to Koh Pen. 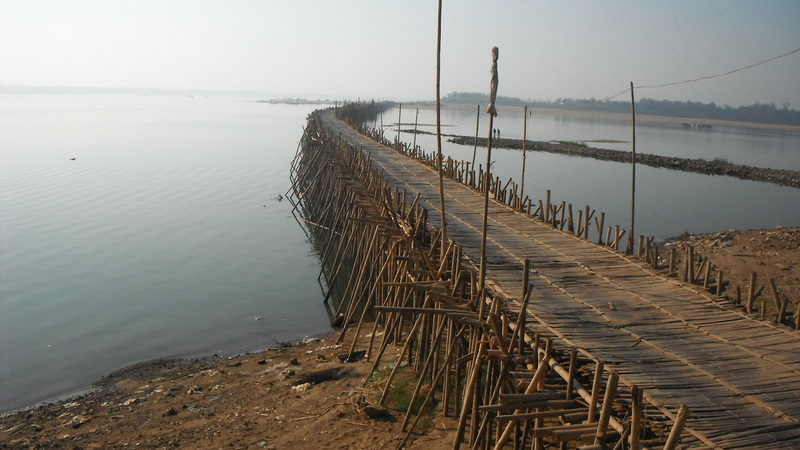 It is a hand-made bridge in Kompong Cham. Test your experience walk on it and catch view of river. I still never have a chance to visit this place yet but it is a must one place to visit in my life. This is the big Buddha in Koh Thom Village where locate in my grandpa village. 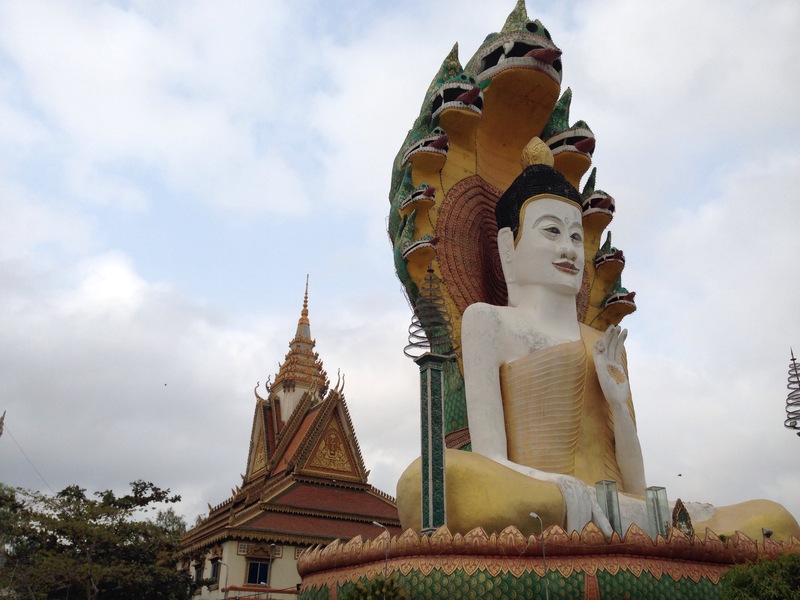 It is a big Buddha ever that I see in Cambodia. The village build it in term to respect to Buddha where is the nation religion in Cambodia. 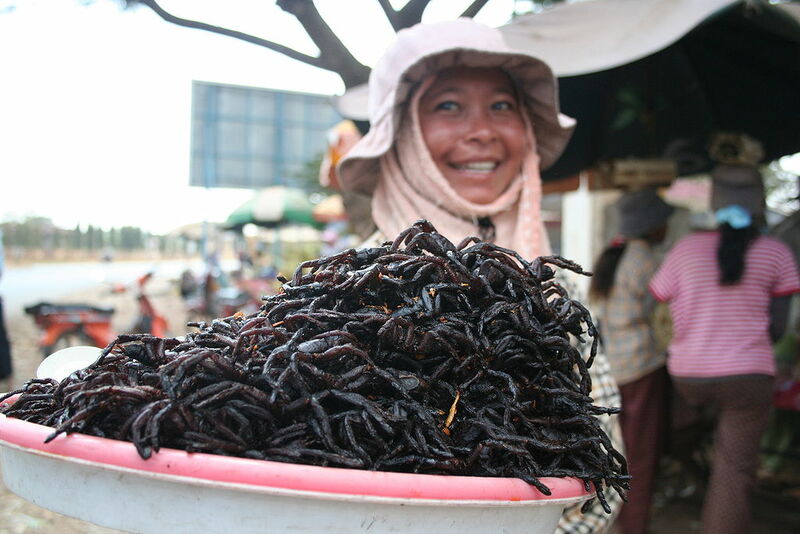 A spider while in Cambodia! Yummy ! Yummy ! taste your palette and never regret. I eat it one time when my mother bought from market. It taste good. 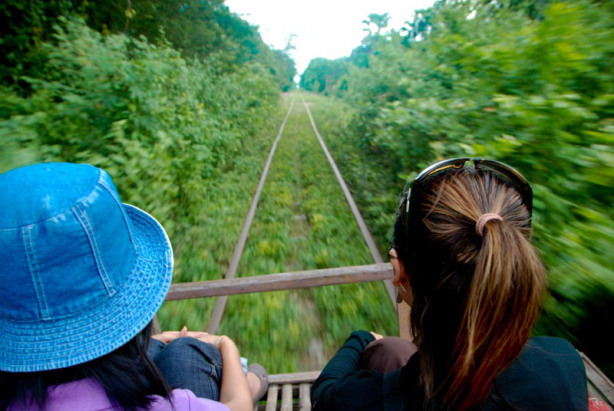 Most foreinger like to try it while on the way to Siem Reap at Skoun, Kampongcham. I will try it when I go to Siem Reap next time. 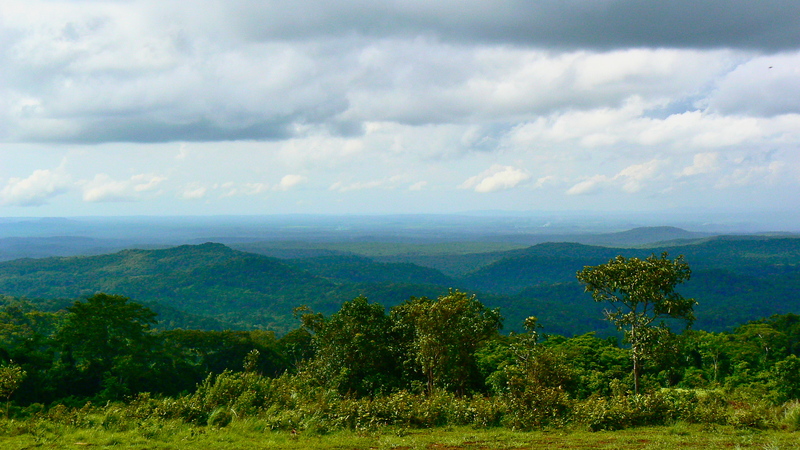 The Forest Ocean located in Sen Monorom City of Mondulkiri Province. 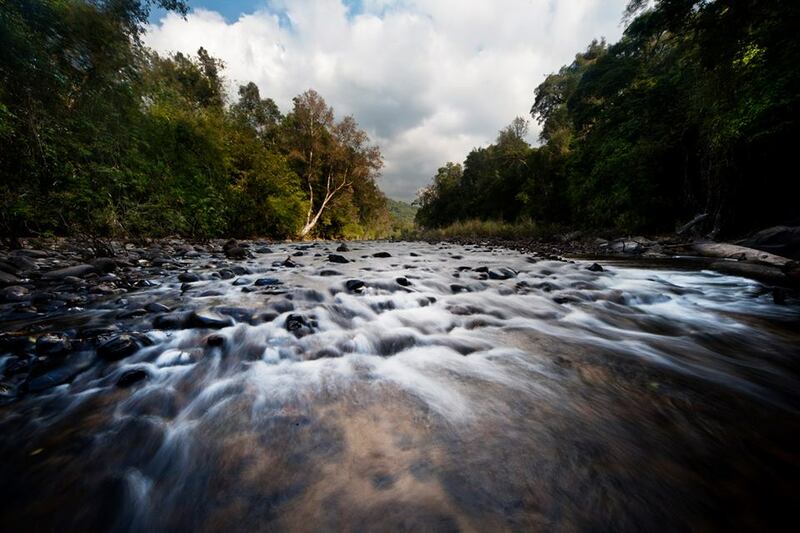 It is called the forest ocean because of the trees growing on the mountain create an image lkie the wave of sea. This is why people called it Samot Chheur or The Forest Ocean. I feel it worth to see this beautiful view in Mondulkiri The Forest Ocean located in Sen Monorom City of Mondulkiri Province. It is called the forest ocean because of the trees growing on the mountain like the wave of sea. This is why people called it Samot Chheur or The Forest Ocean. 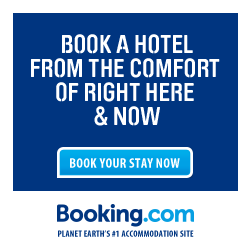 Norry is very well advertised both in guidebooks and at hotels or guesthouses visited often by tourists. It is even included in the top ten experiences highlighted by well-loved Lonely Planet, and was my last experience amongst the ten. An approximate one hour ride can cause you about 15 bucks per lorry if you are a tourist. Khmers will receive some discount, 8 dollars in my case. Since it became a big tourism draw in Battambang, I guess the locals can generate pretty good incomes from the service. 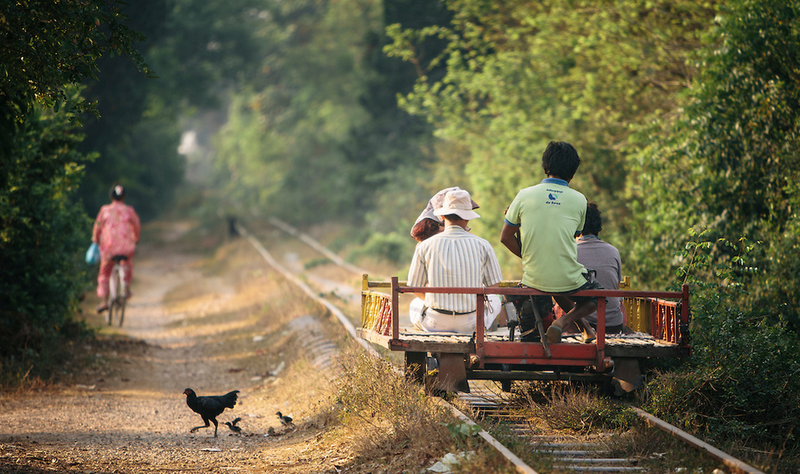 If the project to bring back Cambodia train is on tracks, this service will come to an end in this year. 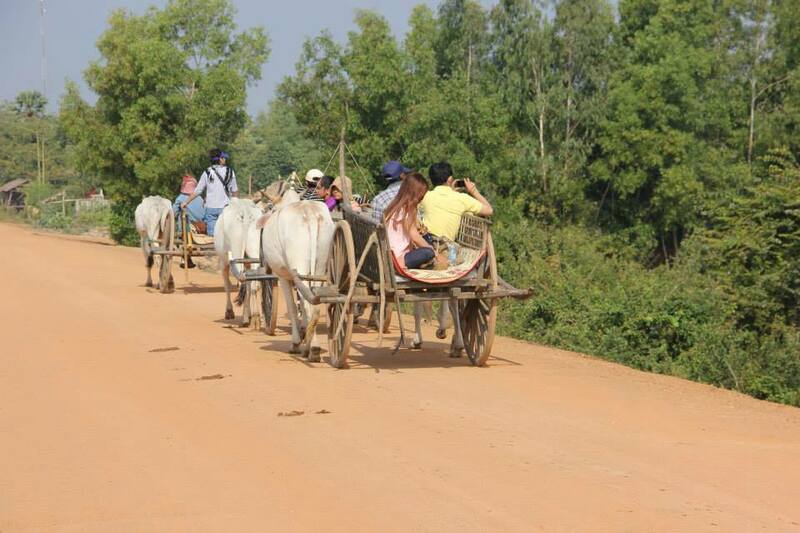 Take an awesome experience with a view of nature along field and market in rural experience in Kompong Chhnang. I go there with my friends. They charge us 4 us dollar per person for both khmer and foreigner. Let try an old Khmer transports in this kingdom. Finally, I would like to say Happy Khmer New YEAR. Stay safe and don’t drink much, check out fire and electricity before leaving home. Good luck everybody in the year of goat. site accidentally, and I’m stunned why this coincidence did not happened in advance!